Chapter Five .. What a Gem! Coby was back in the US for some Florida showing and Yup's had a puppy for me to look at. A beautiful gold and red sable girl. Janet wanted a good show home for her, and she was spectacular. 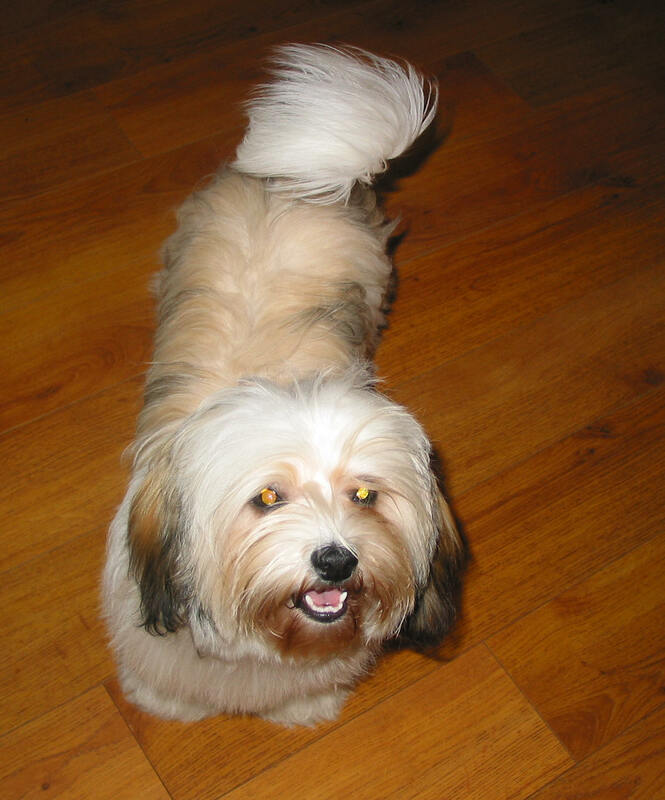 Great coat, great personality ... well she is a Havanese after all. So after some begging to Doug I brought her home. Gem was so quiet and sweet at Janet's and then I brought her home and she decided she would take over the house. This little 10 week old girl was determined to be Alpha girl. She even tried to boss Heather's Aussie's around. Gem's nick name was devil dog, but she has now settled into a very sweet laid back young lady. Gem's favorite thing in the world though is to climb - chairs, tables, anything, she just loves to be up high. Gem is a US and Canadian Champion and gave us gorgeous puppies this year. I have kept one of her puppies for the show ring. Mylad's Ella Enchanted, who will be showing fall/winter of 08. Gem's show career began in Canada, and she put on 8 points on her first circuit, and then Mykensie finished her again for another Canadian Championship. One very professional judge came up to examine her on the table and broke into a big smile and said "well hello pumpkin", she just has that face that you can't resist. 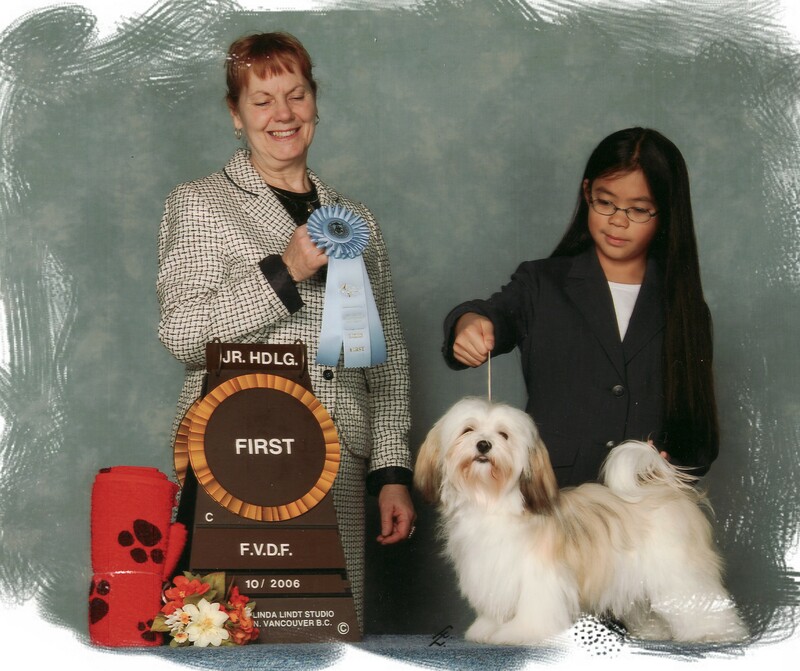 She had her first 3 shows in the US, when she was just 6 months old, big 5 point Havanese majors and she took reserve all three days. I then sent her to her Breeder in Florida and she finished her championship in 5 shows with a group puppy win and 2 5 point major wins. We are not going to let Coby know that she beat his record. Mykensie is now showing Gem in the junior ring, and we will think about bringing Gem into the specials ring when Coby is showing in the US. Gem replaced Carmen is the baby, although Carmen's place in Mykensie's bedroom has never been challenged!! !